Available whether you bought the vehicle from us or not! The Vehicle Service Agreements we use protect you from unexpected repair bills. We offer a wide range of vehicle service agreements, which are all fully insured by an A-rated carrier. With a variety of terms and coverages to choose from, we can provide you with a product that specifically matches your driving habits and provides you with the level of coverage needed. 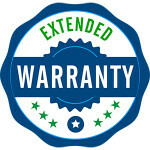 With rising repair costs, a vehicle service agreement is a smart investment. Fast response and excellent service are just two reasons why motorists rely on the warranties we provide for vehicle protection.